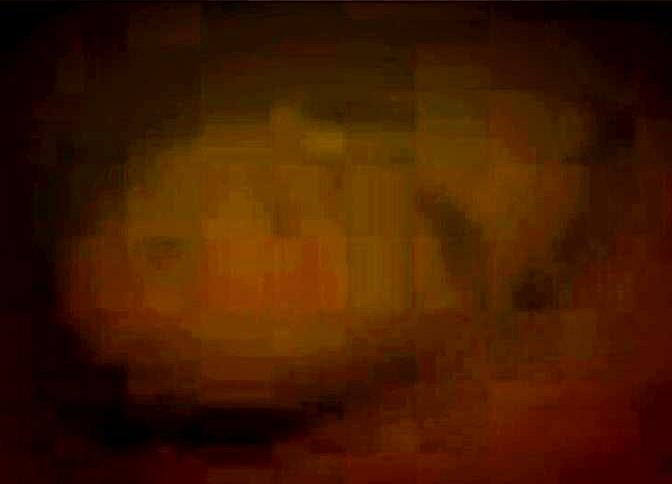 A startling new video clip showing what appears to be an elongated skull lying on the ocean floor has been released by the Ocean Explorer team in the past few days – (scroll down for video). 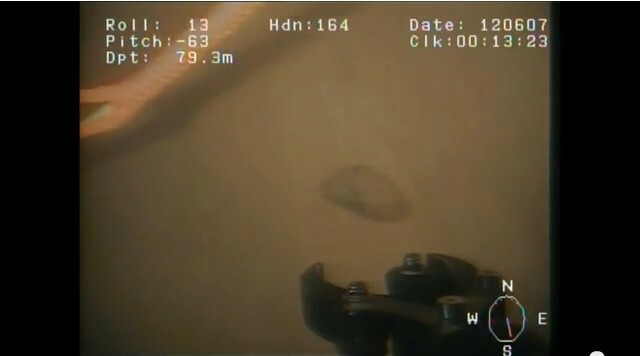 Another variation in angle as the ROV films the artifact on the seabed. The two minutes and 42 second clip was taken last year by one of the ROVs (Remotely Operated Vehicles) used by the team. The Ocean Modules V8 Sii ROV was being piloted remotely from the ship in an effort to explore the site when the team came across the bizarre discovery. 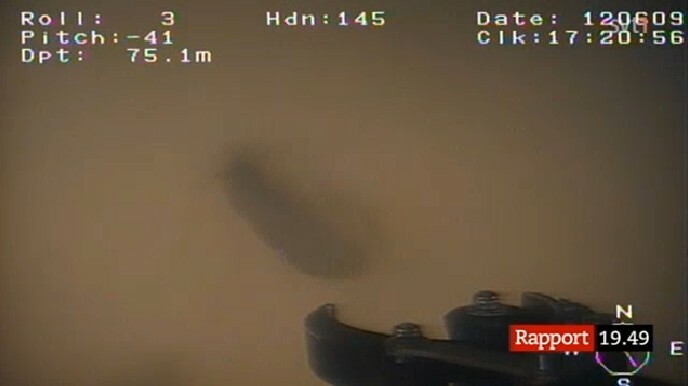 The object was found lying beside the main 60 metre wide anomaly at a depth of 79 metres – it is thought to be only one of many curious finds that the team have made at the site – most of which are still under a contractual embargo by the TV company who financed the trip and will be revealed later this year when the 60 minute documentary is broadcast. 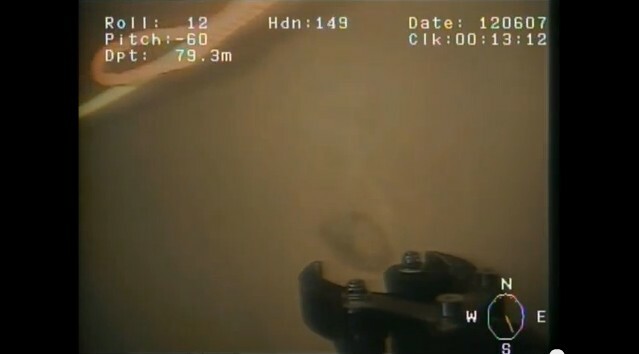 It is believed that no attempt was made to recover the object at the time as the ROV’s propulsion system kicks up a lot of silt from the bottom and this was severely hindering the divers visibility around the object. A new expedition in 2013 may try and salvage the object along with other objects and samples at the site. 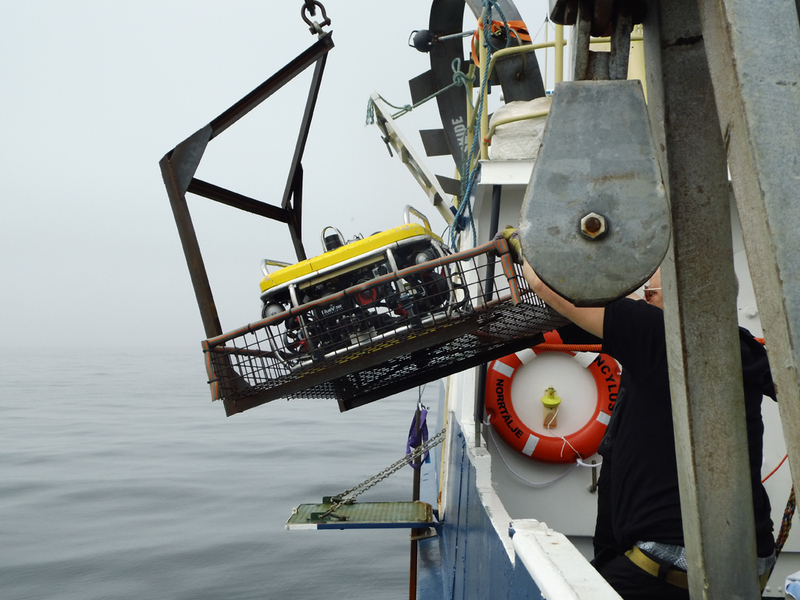 The Ocean Modules V8 Sii ROV being deployed last year to look at the anomaly. Close up and colour enhancement. Image rotated through 90 degrees. 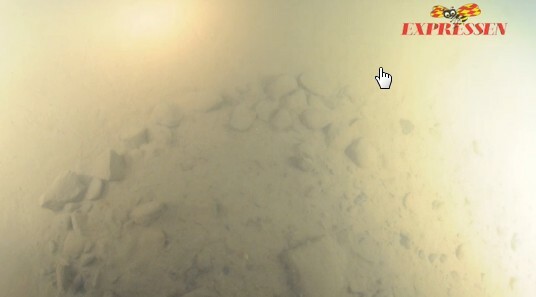 ROV claw and object lying on seabed. 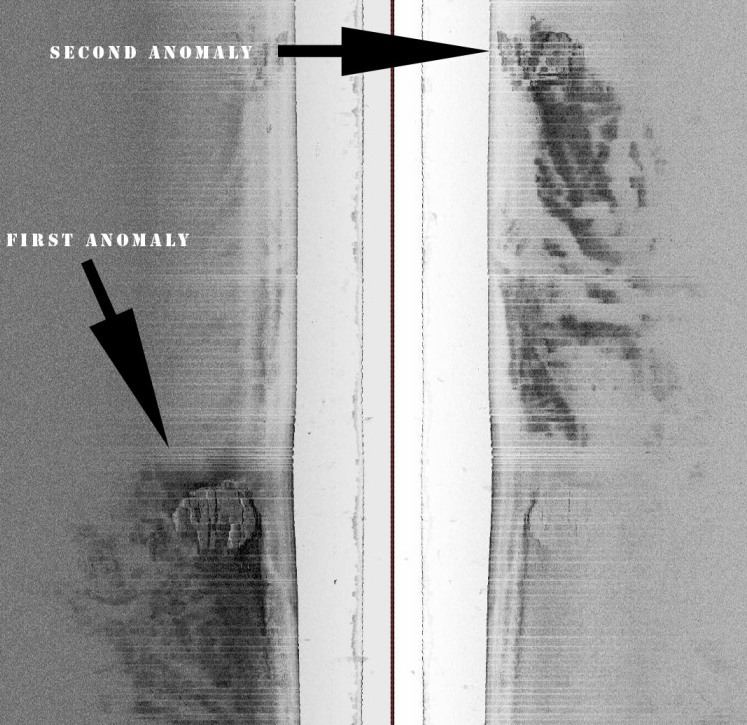 The sidescan sonar shows the main anomlay (left) and the second anomaly which has yet to be explored. Circular formations of rocks seems deliberate and unnatural. What is the strange hole and where does it lead? “The Meringue” – Approximately 4 metres wide is only one of many strange features sitting on TOP of the dome of the formation. Editor’s Comment: This newly released footage of what appears to be an elongated skull, similar to what you would call your classic ‘gray’ alien may turn out to be nothing more than the head of a statue or a curiously shaped rock, but examining this on it’s own does not put this latest find in the context it deserves. Consider for a moment the photographs and the entire list of anomalies and interactions the team have made public so far. What is the likelihood of so many unnatural formations and irregularities together in one place? 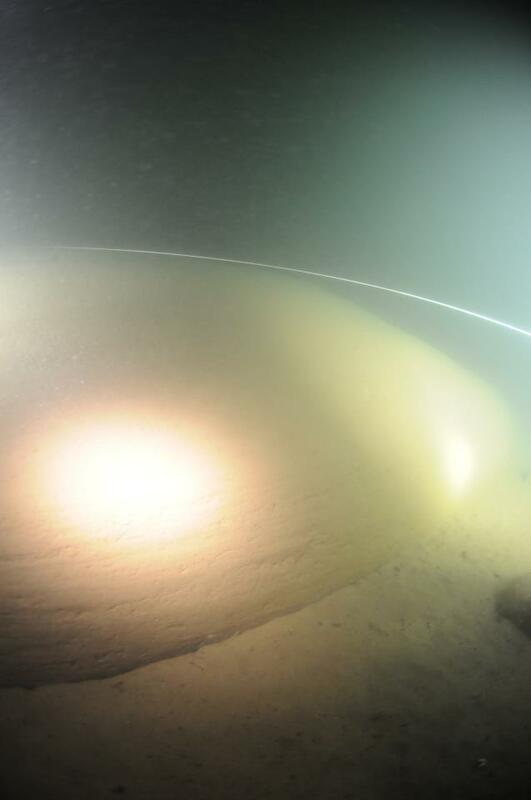 Object is 200ft accross mushroom shaped comprising a thick pillar rising 8 metres out of the seabed with a 4 metre thick dome on top (like a mushroom shape) – rising a total of 12 metres (approx 40 feet) high above the surrounding seabed which lies at the end of a 1500 metre ‘skid’ or gouge on an otherwise featureless seabed. A second and third anomaly lying nearby – anomaly two has the appearance of a gothic church window with what appear to be two similarly sized arches. Anomaly three – an underwater mountain 1500m to the South. Large straight lines, walls and corridors in excess of 10 metres long with flat, smooth surfaces. Dome shaped object nicknamed “The Meringue” approximately 4 metres wide and sits on top of the object. Right angles and unnatural depressions many metres long. A perfectly round hole in the object (as yet unexplored). A 1-2 metre wide square depression with a perfectly circular depression inside. Threats and intimidation by outside parties. If the military remote viewers are correct then this anomaly is one of many similar sites on the seabed and therefore there is a good chance that the navy / military / intelligence services already know about this. 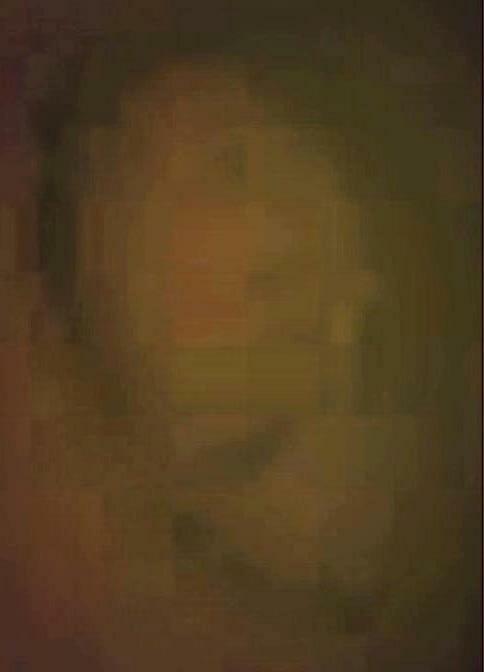 Are you a whistle-blower, ex-military, contractor who has knowledge of what this anomaly is? Have you encountered this kind of formation before in the course of your work? Contact editor@overunity.co Requests for confidentiality are always treated in the strictest of confidence. A full report on the team’s expedition and findings will follow – hopefully with some new images. The issue of the Baltic Anomaly is being ignored, twisted or subverted by the mainstream press and academia. Please help to raise awareness of this subject by sharing this post on your social networks. it look like, this “ship”happends what we are warned for. As soon it is coming in our air, it changes in rock or crystal or something like that. poor creations. and click on ALIEN GRAY. How about ancient New Zealand? On Thursday 28th March 2013 we were taken on a guided tour to view some volcanic stone construction believed to be 5000 years old, the latter is very interesting as to who built them especially when nobody was meant to be living in New Zealand back then? To view photos and videos of these stone walls, cairns & a massive three sided pyramid write in on ones facebook page “Before Maori NZ’s First Inhabitants” and all will be revealed…www.createspace.com/3832110 Enjoy! 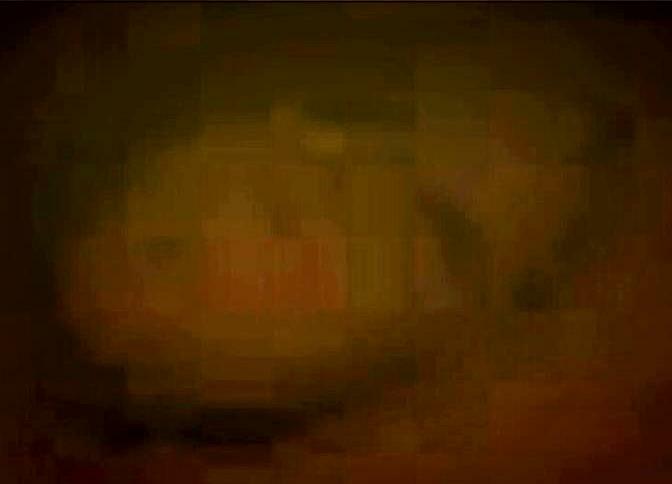 Alien skull in Baltic Sea?